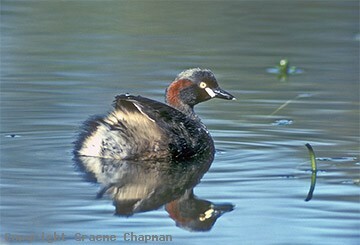 061201 ... Australasian Grebe. 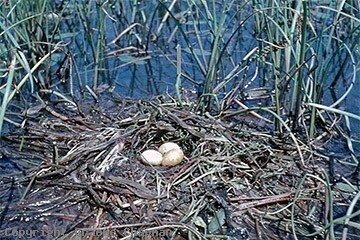 This floating nest is in water a metre or so deep. 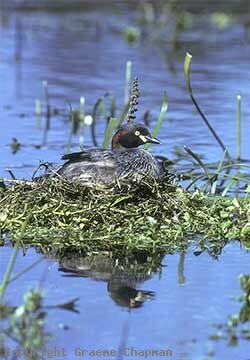 061202 ... Sunning in the early morning with all the rump feathers spread. 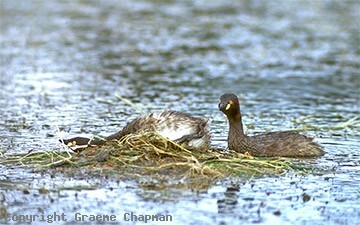 061203 ... Before leaving the nest the grebe normally covers the eggs with nest material. 061204 ... Soliciting! Copulation followed.